M by Michael Mondavi is our limited production Cabernet Sauvignon. M marks Michael Mondavi's return to winemaking after more than 30 years, and stands as a genuine expression of his spirit, passion for wine, and the family's deep roots in the Napa Valley. M is 100% Cabernet Sauvignon from Michael's own Animo Vineyard, high atop Atlas Peak and is available in very limited quantities. ; Isabel Mondavi Wines focuses on our family's passion producing true artisan wines, that complement, rather than compete with the meal. ; With a delicious and unique Deep Rose of Cabernet Sauvignon and two wines from Carneros, a Chardonnay and an Estate Pinot Noir, Isabel Mondavi started the way a lot of boutique wineries do, with just a few cases made for friends and family. It wasn´t long before we realized that there was a real interest from wine lovers for well made, food friendly wines, and we decided to share these wines with the world. Tasting Room Size Very Small Tasting Room Atmosphere We are on the move... And are super excited to share the news that Michael, Rob Jr., Isabel and Dina have sold the Carneros property and tasting room and are in search of a new boutique winemaking facility and tasting room in Napa Valley. 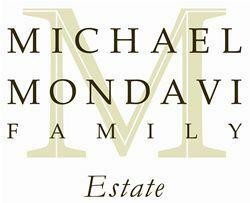 Rest assured none of your favorite brands are affected by our move and the Michael Mondavi Family will still own the Animo and Oso vineyards that produce the family brands Isabel Mondavi, Emblem, Animo and ‘M’ by Michael Mondavi. Keep your eyes and ears open for news on our next location and we look forward to welcoming you to our new home!